University City is a vibrant community known for its diversified neighborhoods and business districts. The city has a vast number of community groups, places to worship, and cultural activities for the entire family. Most of the attractions are located along Delmar Boulevard, a major east-west thoroughfare that continues east all the way to downtown St. Louis. A MetroLink station and parking facility now exist in the area. The Delmar strip is located approximately six blocks from Washington University’s main campus, has quick access to Forest Park, interstates, and the airport. 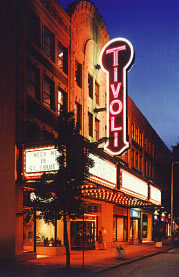 Major institutions in the Loop include: the Community Music School, formerly affiliated with the Saint Louis Symphony Orchestra and Webster University but recently purchased by Washington University; the Craft Alliance, which is particularly noted for its pottery studios and classes; the Riverfront Times; Vintage Vinyl; The Pageant Concert Nightclub; Moonrise Hotel; Tivoli Theater; Cicero’s Italian Restaurant & Entertainment Venue; Fitz’s Restaurant and Bottling Company; Blueberry Hill, a pub and restaurant that served as the engine for the revival of the Loop beginning in the 1970s; and various unique shopping establishments and other services. The Loop is also the home of the St. Louis Walk of Fame, a series of brass plaques embedded in the sidewalk along Delmar Boulevard commemorating famous St. Louisians, including musicians Chuck Berry, Miles Davis and Ike Turner, and bridge-builder James Eads. 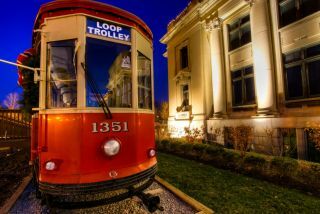 The future of The Loop is ever-expanding and changing, with new projects on the horizon including Washington University’s $80 million mixed use development at Eastgate, and the new Loop Trolley expected to begin construction this year, connecting Delmar to the History Museum in Forest Park.